The exposed rock at Roch’s reception. The exposed rock at Roch’s receptionA scheduled Grade 1 ancient monument with a wealth of history and charm, Roch castles in Pembrokeshire Wales sits on a rocky outcrop which is exposed in the hotel reception. It position allows panoramic views over beautiful St Brides Bay and the Preseli Hills especially in the modern lounge. 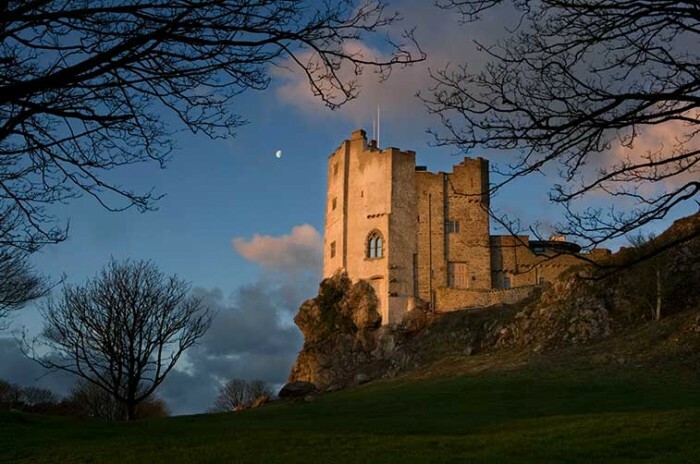 Built in 1195 it has been a home to conquerors and courtesans, and was a royalist stronghold in the Civil War following which it was abandoned before being rebuilt in 1900. Today, its six luxury bedrooms allow you indulge in the ultimate king of the castle experience. Once owned by King Edward I, Henry VIII and Elizabeth I, this castle hotel is abundant in historical interest dating back to the legend of King Arthur. Visitors can now stay in the castle’s eclectic selection of rooms, many of which have been styled in dedication to some of the noteworthy figures who have stayed at the property over the years, including Lady Randolph Churchill, mother of Sir Winston Churchill; actress, Lillie Landtry; and leading Edwardian playwright, Oscar Wilde. Created by Sir Ralph Lumley, this imposing castle has stood proudly over the County Durham landscape for over 600 years. Sir Ralph was renowned for his bravery and played a key role in the defence of Berwick-on-Tweed in 1388 but he was also involved in a conspiracy to overthrow Henry IV, a failed coup that led to Sir Ralph being imprisoned and later executed in 1400. Today, visitors can immerse themselves in the castle’s fascinating history by staying in one of the hotel’s richly decorated rooms, including four-poster beds, elegant drapes and some even come with the hotel’s signature secret bathrooms. This vast castellated property offers its guests some fantastic views of the Cornish coast and the picturesque town of St Ives. The building was originally constructed from local granite as a home for Samuel Stephens in 1774 and it has since been extended over the years with turrets and extra bedrooms being added in 1884. The hotel’s collection of bright, comfortable rooms now offer visitors a relaxing base from which to explore the surrounding countryside and coastline. steeped in history, this 14th-century castle was once owned by the family of Robert the Bruce and has now been sympathetically refurbished and developed to offer visitors the chance to stay in an historic property with modern luxuries and furnishings. The accommodation is located in both the site’s main hotel and the castle itself where 22 rooms are available for guests to stay. Owned by the Cunliffe-Lister family since the 1880s, this luxury castle hotel is also the ancestral seat of the Earl of Swinton. Each room is individually designed and comes complete with exceptional views and spacious bathrooms. As well as enjoying the interiors of the hotel and its rooms, visitors can also enjoy exploring the hotel’s 200 acres of surrounding parkland where the building’s magnificent exterior can also be fully appreciated. There are also several follies, standing stones and druid’s seats dotted around the grounds as well as a herd of around 100 fallow deer which can be seen grazing in front of the hotel. This boutique hotel is located a stone’s-throw away from the city of Bath World Heritage Site. Complete with towers, battlements and portcullis, this Grade II-listed building was created to parody the principal estate buildings of Farleigh Manor and Farleigh Castle, albeit on a much smaller scale! Each room is individually styled with some including en-suites housed within the turrets, while the Windsor room also comes with double doors that open out onto the battlements to give you a real sense of being the king of the castle. 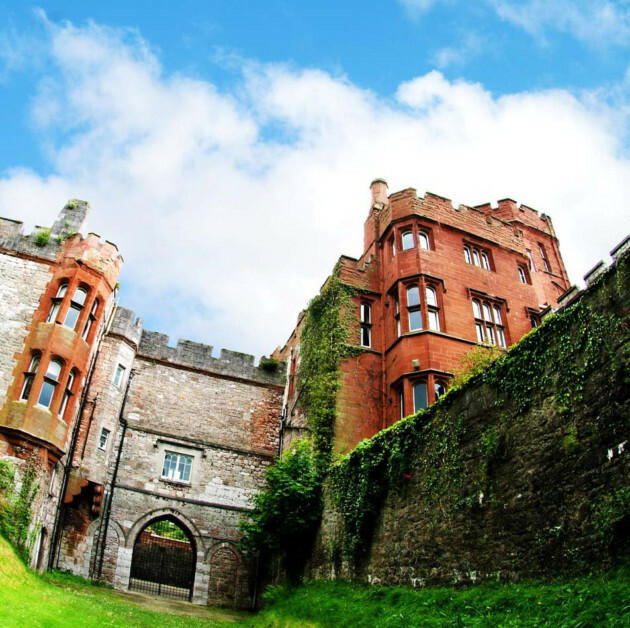 Originally constructed in 1593 to defend against the second Spanish Armada, this star-shaped garrison was converted into a hotel in 1933 and now offers a range of rooms within the castle itself as well as more modern garden-suite accommodation within the grounds. Guests at the hotel will be spoilt for choice at meal times as the hotel is home to two award-winning restaurants, and you might even like to head down to the old dungeon, where the bar is now located, for an aperitif. A classic example of an elegant Baronial castle, this property was constructed in 1837 as the home of the Campbell family. With open log fires, richly decorated ceilings and intricate wood panelling that have been carefully restored, the hotel offers visitors a grand getaway amid 60 acres of woodland overlooking Loch Fyne. The dining room has some wonderful views looking out to sea and serves a fantastic selection of locally sourced Loch Fyne seafood. a splendid country house hotel. 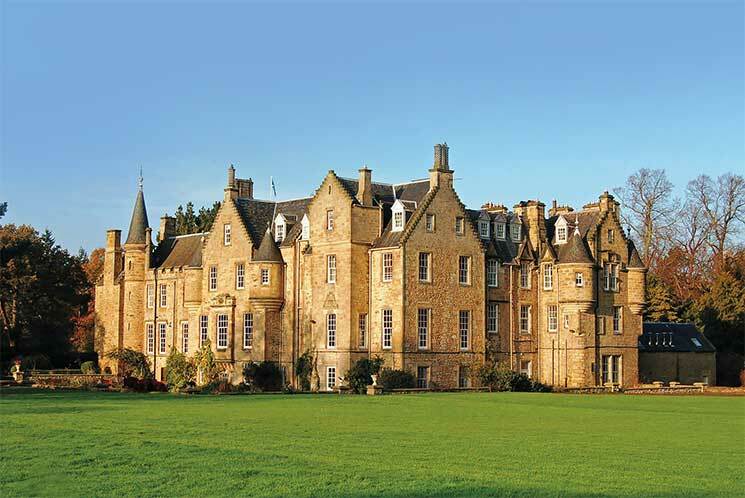 Once the home of Lady Elphinstone, sister to the late Queen Mother, HM The Queen and Princess Margaret stayed here regularly as children, along with their parents, then King George VI and Queen Elizabeth. Today, spacious suites that encompass the former day nursery where Princess Elizabeth and Princess Margaret played with their governess. On the estate, four luxury golf lodges have recently been added, each sleeping up to eight guests.